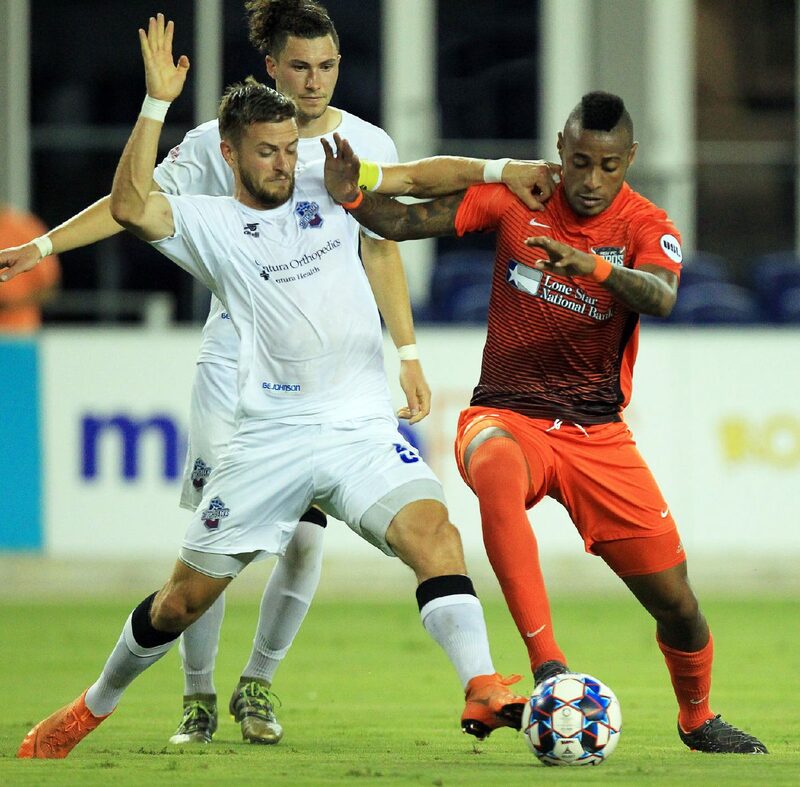 EDINBURG — With the RGV FC Toros seemingly minutes away from another scoreless draw, Pablo Aguilar found a breakthrough. As Toros debuting sub Carlos Small battled a defender for possession in the penalty area, the ball came rolling to Aguilar in the center of the box, and he finished a shot into the lower-left corner of the net on his second touch. The strike in the 83rd minute lifted RGV FC to a 1-0 win against Colorado Springs Switchbacks FC on Saturday at H-E-B Park. The victory was only the Toros’ third of the season against six losses and a USL-high 11 draws. RGV FC Toros' Jesus Enriquez (11) and Colorado Springs Switchbacks FC's Andrew Kendall-Moullin (6) battle for the ball during a United Soccer League game at H-E-B Park on Saturday, July 28, 2018 in Edinburg. RGV FC Toros' Pablo Aguilar (10) celebration his goal against Colorado Springs Switchbacks FC during a United Soccer League game at H-E-B Park on Saturday, July 28, 2018 in Edinburg. RGV FC Toros' Carlos Small (58) and Colorado Springs Switchbacks FC's Josh Suggs (5) battle for the ball during a United Soccer League game at H-E-B Park on Saturday, July 28, 2018 in Edinburg. 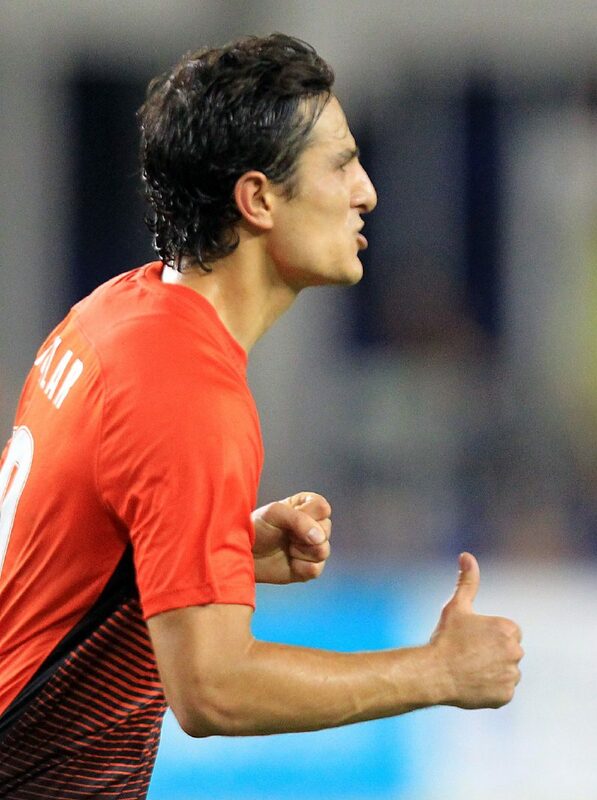 Small, acquired earlier this month on a loan from CD Arabe Unido in Panama, entered his first match for RGV FC as a substitute in the 67th minute. He very nearly scored within his first minute, receiving a cross about 6 yards from goal and putting a volley on frame that was saved by Colorado Springs keeper Moise Pouaty. Small also nearly iced the game in stoppage time, getting a clean look from the top of the penalty box off a feed from Jesus Enriquez. Small’s rolling shot toward the center of the net was saved off the line by a sliding Taylor Hunter, who was playing on the opposite side of the H-E-B Park pitch after suiting up for RGV FC’s defense last season. Echeverry said the coaching staff is working to improve Small’s fitness level with extra work outside of the team’s normal practice sessions. The Toros are just past the midpoint of the USL season, while Small was only beginning preseason training in Panama before joining RGV FC. Small is expected to continue to provide a lift for a Toros side that entered Saturday ranked last in the USL with 17 goals this season. 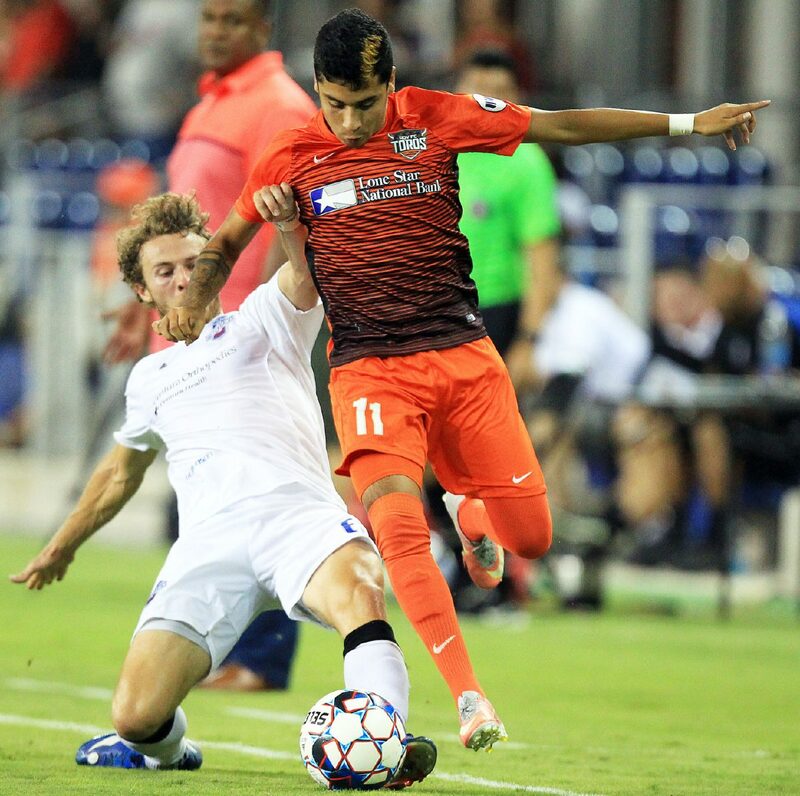 Even Saturday, RGV FC struggled to generate quality chances early. Echeverry said his players weren’t moving the ball as quickly and effectively as they needed to be for much of the match. Defensively, the Toros limited Switchbacks’ chances by maintaining 57.7 percent of possession for the game. The teams finished level with 14 shots each, but Colorado Springs put only two on target compared to RGV’s four. Goalkeeper Michael Nelson, a Houston Dynamo assignment player, kept his third clean sheet in as many appearances for RGV FC. His toughest test came in the 9th minute, when Colorado Springs turned a corner kick into a header from about 6 yards. Nelson parried the ball over the crossbar. Colorado Springs also put a free kick off the crossbar from about 25 yards in the 72nd minute, and RGV’s Todd Wharton blocked a shot attempt off the line during the 34th minute.